Legacy travertine fireplace is a multi step single profile shaped surround. 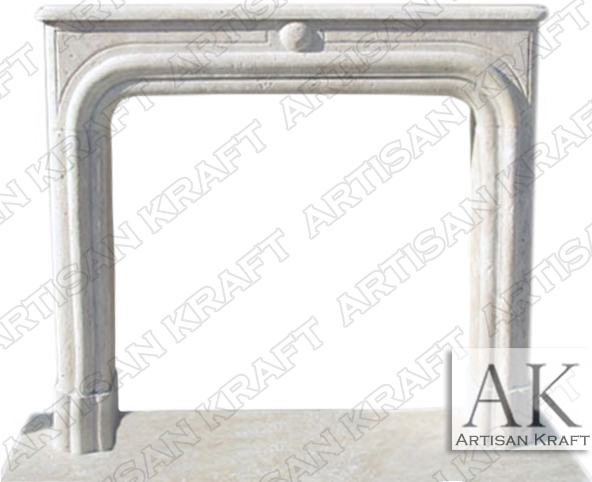 Rounded deep trim with a flat mantel shelf. The half circle in the center can be eliminated from the design. Carved lines on the sides of the sphere are a nice detail. Typical Dimensions: 55″ wide x 43″ high *can be made to custom dimensions. Materials: GFRC, travertine, limestone, sandstone, marble etc.